WASHINGTON, DC – In an effort to help revitalize local neighborhoods and support economic development and affordable housing programs throughout the state, U.S. 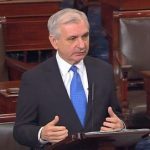 Senator Jack Reed today announced that Rhode Island will receive a total of $24,811,829 in federal aid from several programs. Reed, the Ranking Member of the Appropriations Subcommittee on Transportation and Housing and Urban Development (THUD), said the allocations for Rhode Island include $16,296,176 from the Community Development Block Grant (CDBG) program; $5,936,584 from the Home Investment Partnership (HOME) program; $1,398,690 from the Emergency Shelter Grant (ESG) program; and $1,180,379 from the Housing Opportunities for Persons With AIDS (HOPWA) program. Each program is administered by the U.S. Department of Housing and Urban Development (HUD). 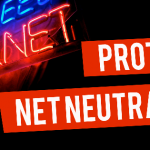 Reed led efforts to secure this funding earlier this year as part of the THUD Appropriations section in a “minibus” spending package, which Congress passed in February. “I’m pleased to deliver these federal funds to help communities across the state address some of their most pressing priorities and move forward with capital improvement projects. When these funds are fully leveraged with local resources, it will help cities like Providence, Cranston, and Pawtucket upgrade infrastructure, revitalize neighborhoods, and enhance economic development,” said Senator Reed, who, in addition to his leadership on the THUD Appropriations Subcommittee also serves as a senior member of the Banking Committee, which has jurisdiction over CDBG, HOME, ESG, and HOPWA. Senator Reed also noted that under President Trump’s latest proposed budget for fiscal year 2020, CDBG and HOME are completely eliminated, and funding for ESG and HOPWA funds are cut too. However, through his partnership with Senator Susan Collins (R-ME), the Chairman of the THUD subcommittee, Senator Reed has pledged to work on a bipartisan basis to protect funding for the programs in the upcoming Senate Transportation, Housing and Urban Development Appropriations bill. CDBG provides local communities with a flexible source of federal funding to address a wide range of neighborhood development needs. The funds may be used for capital-improvement projects or distributed to non-profit organizations to increase housing, supportive service, and job opportunities. Eligible communities may also apply to the state, which annually allocates the federal CDBG funds through a competitive process. CDBG funds may also be used to address a variety of needs from revitalizing distressed areas by removing blight and assisting with infrastructure projects. Several Rhode Island cities will split over $16 million from this round of CDBG funding, including: Cranston ($1,065,357); East Providence ($735,234); Pawtucket ($1,180,854); Providence ($5,020,061); Warwick ($965,137); Woonsocket ($1,285,344) and RI ‘nonentitlement’ funds for communities across the state: $5,414,189. 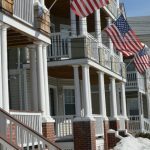 state and local governments funding to expand and preserve the supply of quality, affordable housing for working families. Providence will receive $1,546,980 in HOME funds, while Pawtucket will receive $487,318, Woonsocket will receive $427,242, and RI ‘nonentitlement’ funds for communities across the state will total $3,475,044. ESG provides annual grants to state and local governments, as well as private entities, to upgrade and expand emergency homeless shelters. In this round of funding, Providence will receive $427,181 in ESG funds, Pawtucket will receive $158,720, Woonsocket will receive $113,674, and RI ‘nonentitlement’ funds for communities across the state will total $699,115. Providence will also receive $1,180,379 in HOPWA funds, which help communities and nonprofit organizations offer housing assistance and related supportive services to low-income individuals who have been diagnosed with HIV/AIDS.